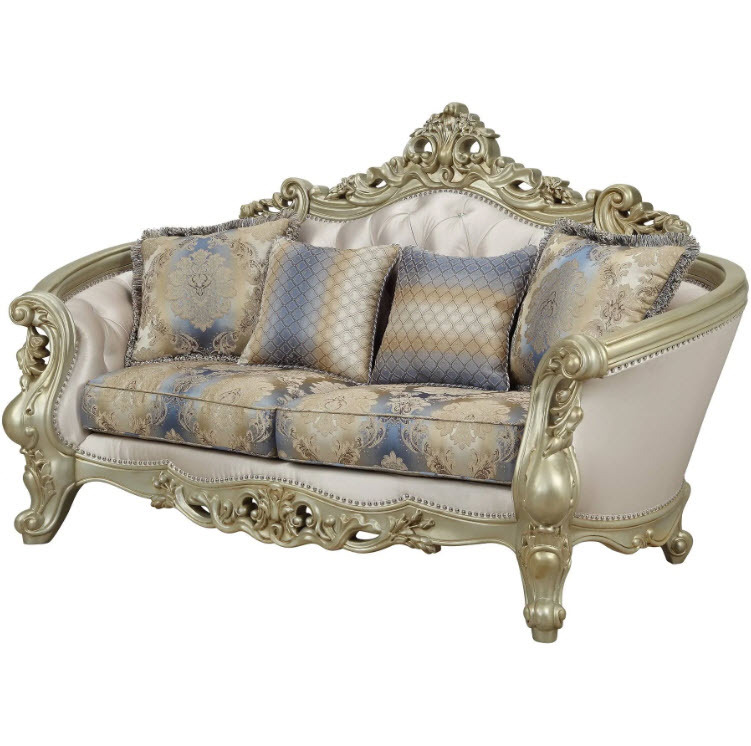 Exclusively designed and filled with romantic spirit, this beautiful loveseat features Queen Anne legs and carved aprons and trims, decorated with raised and scrolled floral motifs in an antique champagne finish. 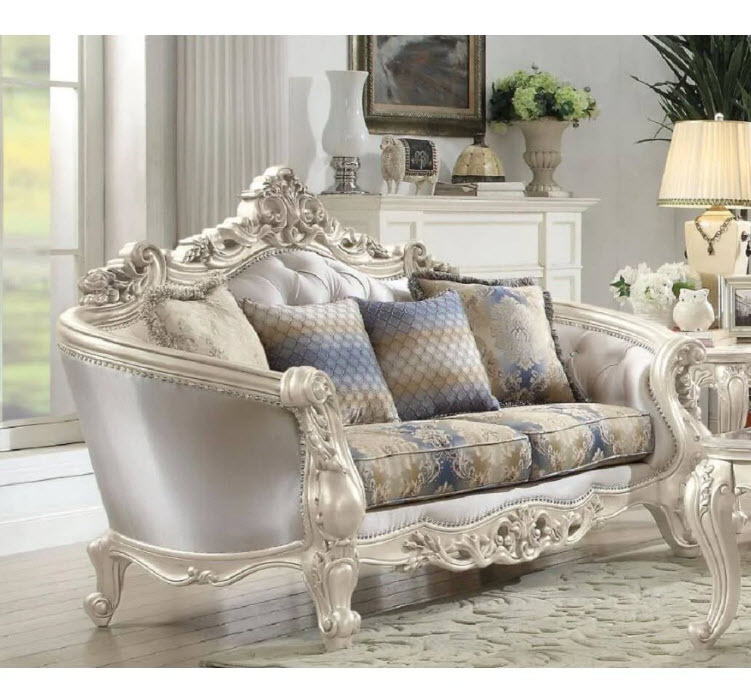 Each piece of this sophisticated living room set boasts of curved and rolled arms, oversized molding and crystal-like button tufted backrests with nailhead trim. This three piece collection with contrasting accent pillows will bring sophistication to your living room and will add elegance to any room décor.